Andrew Friedland is an environmental and forest ecosystem scientist in the Environmental Studies Program at Dartmouth. Online Introductory Environmental Science (edX MOOC). Videos Reviews. Newly released!! Environmental Science for the AP Course, 3rd edition by Friedland and Relyea. New York: Macmillan/Freeman. 2019. 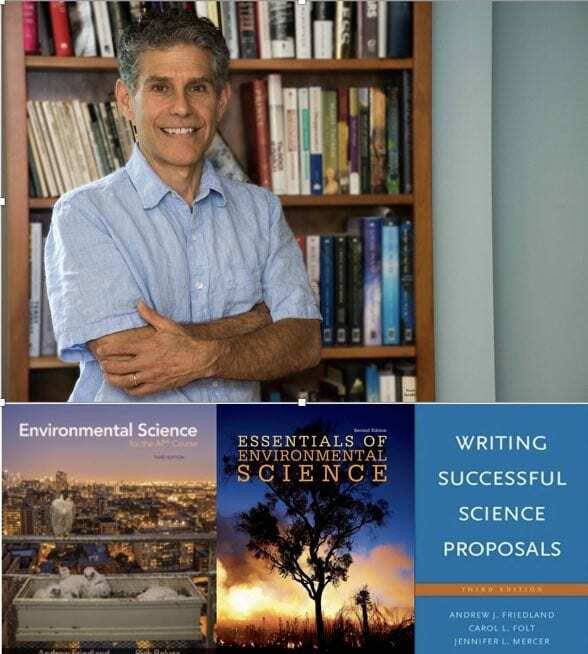 Writing Successful Science Proposals, 3rd Edition by Friedland, Folt and Mercer. New Haven: Yale University Press. 2018. Banner photo by "walknboston on flickr.com" Creative Commons.